Indian curries are complex dishes that require many different ingredients. Each one is important because the combinations are what make the dishes distinct from one region to another. Remember to give each vegetable the attention it deserves and season lightly with salt when added to the pan. *Traditional curry is made with ghee, which is basically a browned clarified butter. It has a nutty flavor from the browning and a rich texture. You can make your own ghee by heating butter until it forms a foamy layer on top. When that foam starts to brown, skim it off the top and remove your ghee from the heat. Its that easy. In this case, I am using butter because I want my curry to be creamy, but vegetable oil work just as well. Saute the onion until translucent. Add garlic and saute another few minutes. Add tomatoes, ginger, bay leaf & stock and bring to a boil then reduce heat, cover and let simmer for 30 minutes. At this point you have a choice to make. Rustic curry with ingredients you can see, or the smooth curry we see in restaurants. I go smooth for tikka. Add your coconut, salt and spices and blend to your desired consistency. Add chicken and let simmer for ten minutes, or until the curry has reduced to your liking. Remove from heat and stir in cream or yogurt. 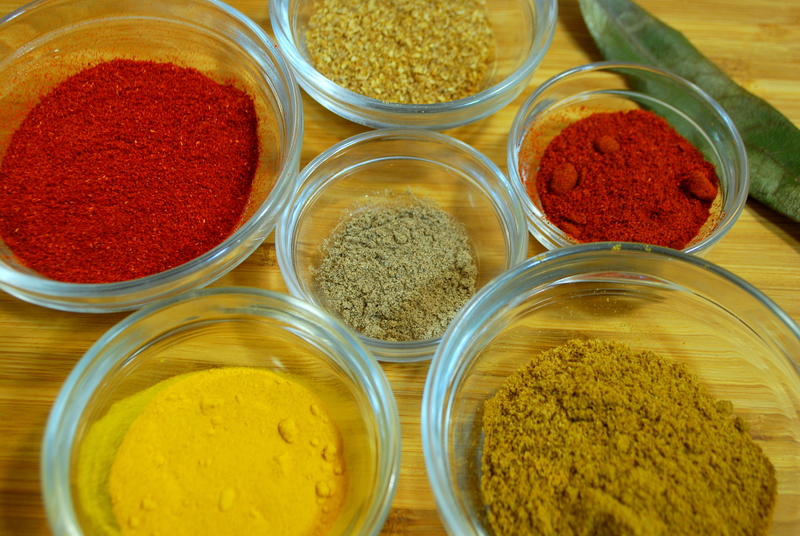 Give your curry a taste and adjust the spices as you like. 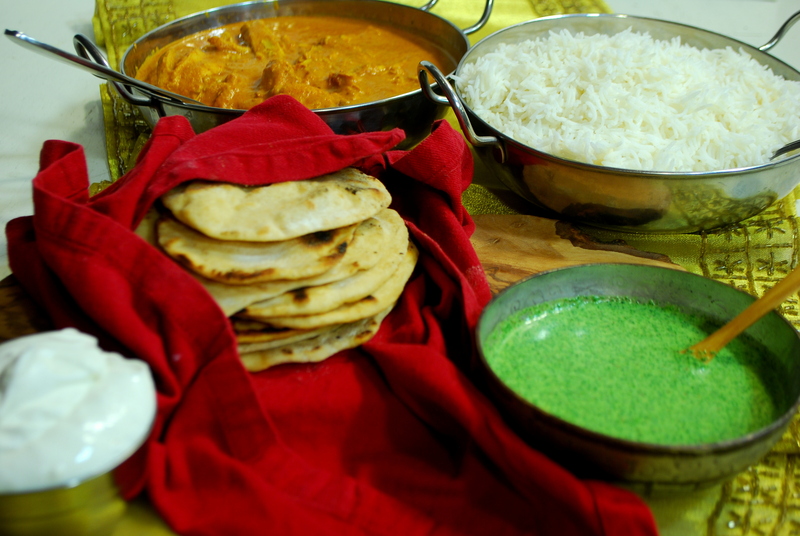 Serve on a bed of basmati rice and along side a flatbread like chapati & chutney for an Indian feast. I love that this is even better the next day!